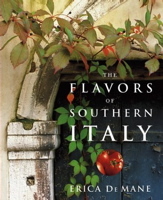 I’m now working on a book that may turn out to be called Cooking with the Flavors of Southern Italy. 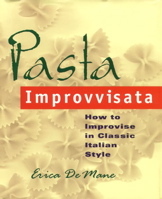 It will have a strong improvisational theme and be composed not of traditional regional recipes but of personal recipes of my own based on the classic flavor themes of Southern Italian cooking­­orange and lemon, anchovy and bottarga, raisins and pine nuts, fennel and saffron, vinegar and sugar. These and other flavors come up again and again in the cooking of the deep Italian South, the regions of Campania, Puglia, Calabria, and Sicily. These are flavors I love. They define my palate, forming the base notes for my cooking. This fall collection of recipes and essays is also about the improvisational nature of home cooking and about the pleasure I get from the often impromptu meals I make for friends and family. Some of the recipes are offshoots of family favorites; others were created to express my seemingly inexhaustible devotion to the flavors of the land that my family emigrated from. I’ve created my own New York-based take on this beautiful cooking. I’ve also attempted here to to talk you through the cooking process, the way I silently talk to myself while I cook or when friends come by for dinner and watch and ask questions. I’ve made an effort to explain why I choose particular pasta shapes, one herb over another, why I let a piece of fish sit in the pan without moving it around, why I’ve specified a particular burner temperature, or why I add ingredients at different times during the cooking process. These are matters that seasoned cooks know about but sometimes neglect to share because they’ve become so second-nature. Fall is an especially interesting time to be testing these recipes, because autumn in New York is so different from in, say, Palermo (in fact, the last time I was in Palermo in early November, it was 98 degrees with blazing sun one day and rained torrentially the next). Working with these Southern flavors and at the same time keeping in tune with the New York soil, I try to be true to two regions that are both mine, one in ancestry and spirit, the other in body and spirit. Please let me know what you think of my works in progress. I welcome any ideas that come to you as you’re cooking my recipes. Tell me about anything in my wording that seems confusing or somehow makes it difficult for you in the kitchen. And let me know when something tastes wonderful. I’m at edemane@earthlink.net. Beets don’t remind me of sunny Mediterranean shores, and I don’t think I’ve ever eaten them anywhere in Southern Italy. But they are plentiful at my Manhattan farmers’ market in late summer and early fall, in colors that range from golden yellow to brilliant crimson. They are beautiful but nevertheless have never immediately inspired me. I always take bunches home and then have to think a little harder than usual to figure out what to do with them. Lemons and pistachios are two major Sicilian crops and figure prominently in all aspects of the island’s cooking, from pastas to desserts. I’ve included these flavors, along with a touch of anchovy (another Sicilian specialty) and extra virgin olive oil, to create a salad whose ingredients play up the beets’ sweetness. but also play against it, bringing out their slight bitter note. With a zester, peel the yellow skin from the lemon in long thin strips, scraping up as little of the white pith as possible (if you don’t have a zester that will do this, remove the skin with a sharp vegetable peeler and then cut it into thin strips by hand). Place the strips in a small saucepan, add the sugar, and cover with about 1/2 inch of cool water. Over medium heat, bring the water to a boil and simmer until the water has evaporated and the zest is sticky. Spread the zest out on a counter or cutting board to dry for about 1/2 hour. Preheat the oven to 400 degrees. Wrap the beets in aluminum foil and place them on a sheet pan or in a shallow baking dish. Roast until they are tender and fragrant, about 1 hour (a thin knife should pierce the biggest one easily when they’re cooked through). Let the beets cool for a few minutes, and then slip off their skins. Cut the beets into thin slices. Make the dressing by whisking together in a small bowl the minced anchovy, garlic, nutmeg, sherry wine vinegar, salt, and black pepper. Whisk in about 3 or 4 tablespoons of good olive oil and taste for seasoning (I find that the sweetness of beets can take a little extra salt). Place the arugula in a salad bowl and toss it with a drizzle of the dressing. Divide it up among four salad plates. In the same salad bowl, add the beets, red onion, pistachios, and candied lemon. Pour on the rest of the dressing, and toss very gently, so the beet slices don’t break up (I do this with my fingers). Divide the beets onto the arugula. Serve right away. Here I complement sweet fresh figs with both bitter and sharp elements, using arugula, celery, strong black-pepper studded Sicilian Pepato (a Pecorino cheese), basil, fennel, and lemon. I prefer green figs; they have a better-tasting skin than the purple variety, which can sometimes taste musty to my palate. Place the arugula, fennel and chopped fronds, celery with leaves, shallot, and figs in a large salad bowl. Scatter on the basil leaves. In a small bowl, whisk together the lemon juice and zest, a pinch of salt, and about 3 tablespoons of olive oil. Taste for a good balance of olive and acid, adjusting if you need to. Pour this over the salad and toss gently. Divide the salad onto four small plates, and shave a generous amount of the Pepato over each one. Serve right away. Potatoes sautéed in a skillet with sweet peppers and sometimes onion (and sometimes a few hot chilies) is a homey Calabrian classic. I’ve taken the same ingredients and given them a more formal structure by layering them in a tart pan. Make this in an eight-inch tart pan. I use one with a removable bottom so any excess oil will leak out during cooking onto the sheet pan underneath. In a large skillet, heat about 2 tablespoons of olive oil over medium heat. Add the sliced peppers and onions, season with salt and black pepper, and sauté until they are tender and very lightly browned, about 15 minutes. Add a splash of dry white wine or vermouth and let it bubble a few seconds, scraping up the cooked-on pan juices with your spoon. Preheat the oven to 375 degrees. Lightly brush a tart pan with olive oil. Place the sliced potatoes, rosemary, and marjoram in a medium bowl. Add a drizzle of olive oil, and season well with salt and black pepper. Toss the potatoes well, so they’re well coated with oil and seasoning. Start layering the potatoes in the tart pan in a slightly overlapping circular pattern. Cover the first potato layer with about three quarters of the sautéed peppers. Sprinkle on a generous layer of Pecorino and Caciocavallo (you can mix the cheeses together if you like). Add another layer of potatoes, and top with the remaining peppers. Top that with the remaining cheeses. Drizzle any oil and herbs that might be left in the bowl over the top. Place the tart on a sheet pan. Bake until the top is nicely browned and the potatoes are tender when pierced with a thin knife, about 1 hour. Let the tart sit for about 10 minutes before cutting it into wedges. Pizza di Scarola is the Neapolitan name for a double-crusted escarole-filled pie that is traditional for Christmas Eve. When I was a child you could find these pies in New York pizza shops, sold by the slice. They made a refreshing change from the pepperoni slices I almost always went for. You don’t see them around much nowadays, but you can still find them in pizza shops in Naples. In addition to the escarole, so loved by Neapolitans (and me), this pie is usually highly flavored with most of the classic Southern Italian strong tastes, including anchovies, capers, olives, raisins, and pine nuts. My version concentrates on olives, using the Gaeta black olives famous in the region, and Caciocavallo cheese, which melts beautifully. To make the dough, start by placing the flour in a shallow bowl. Add a generous amount of salt, and stir it in to distribute it well. Place the egg, white wine, and olive oil in a small bowl, and stir with a fork to blend everything. Pour this onto the flour, and mix with your fork until you have a crumbly but rather moist mass. Now knead it briefly with your hands to form a ball. (This should take only about 3 minutes. This is not like pasta dough, where you want to knead it a long time to develop elasticity; this dough will cook up slightly flaky.) Divide the dough into two, making one section slightly larger than the other. Wrap both pieces in plastic, and let them rest, unrefrigerated, for about an hour (this will make them easier to roll out). While the dough is resting, set up a large pot of water and bring it to a boil. Add the escarole, and blanch it for about 2 minutes. Drain it into a colander, and run cold water over it to stop the cooking and to preserve its bright green color. When it is cold, squeeze all the water out of it with your hands (you want it really dry so your tart doesn’t cook up soggy). Place the escarole in a mixing bowl, and add all the other ingredients for the filling. Mix well to make sure the egg and everything else is evenly distributed. Sprinkle a little flour on a work surface and roll out the larger piece of dough until you have a large, more or less round shape about 12 inches across. Trim the edges to make it still rounder. You’ll probably need to sprinkle a little flour over the dough to prevent it from sticking, although olive-oil dough is pretty easy to roll out, since it’s so oily. Brush a pizza pan (or sheet pan) with olive oil and place the dough round on it. Roll out the other piece in the same fashion, but make it about an inch smaller. Pour the filling onto the large round, and spread it out to about an inch from the edge. 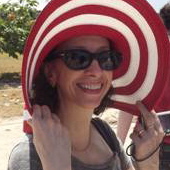 Place the smaller round on top, trimming the edges, if necessary, to neaten it up. Brush the edge of the larger round with water and pull it up over the top, making little folds all around to form a ruffly edge (it will look something like the edge of an American pie crust), pressing to seal it while you do. Make a few small air vents in the top with a thin knife, and brush the whole thing lightly with olive oil. You will now have something that looks like a flying saucer. Bake until the tart is golden brown all over, about 35 minutes. Let cool for about 20 minutes before serving (this will allow you to slice it more cleanly). To serve, just cut it into pie-shaped wedges of any width you like. Here is my version of a traditional Puglian pasta using the region’s orecchiette and bitter broccoli. Sometimes the dish is seasoned with garlic and a pinch of hot chili, and occasionally sausage is added. I’ve substituted prosciutto for the sausage, giving it a lighter feel, and the white wine mingles with the olive oil to create a fruity sauce. Bring to a boil a large pot of pasta-cooking water, and add a generous amount of salt. When it returns to a boil, add the broccoli rabe, and blanch for 2 minutes. Scoop the broccoli rabe from the pot into a colander with a large strainer spoon. Run cold water over it to stop the cooking and to preserve its bright green color. When it’s cold, squeeze out all the excess water with your hands. Bring the water back to a boil, and drop in the orecchiette, giving the pot a few stirs to make sure it doesn’t stick together. Heat about 4 tablespoons of olive oil over medium heat in a large skillet. Add the chopped prosciutto fat and the garlic and sauté until the garlic is just turning the lightest shade of gold and the fat has melted. Add the broccoli rabe, season with salt, black pepper, and nutmeg, and sauté until it’s well coated with oil, about 3 minutes. Add the white wine, and let it boil for a minute, leaving some liquid in the skillet. Turn off the heat. When the orecchiette is al dente, drain it, leaving a little water clinging to it, and pour it into a large serving bowl. Drizzle it with olive oil and give it a toss. Add the broccoli rabe, with all its skillet juices, and the prosciutto. Grate on a tablespoon or so of Grana Padano, and toss everything gently. Taste for seasoning and serve, bringing the remaining chunk of Grana Padano to the table. When I was a kid, long, light green, slightly acidy peppers were always called Italian frying peppers, and my mother always used them to make this dish. My father grew them in his little garden and picked them when they were just starting to show little specks of red. They are always available during the summer at my local farmers’ market, but I don’t see them in supermarkets much anymore, unless I go to Arthur Avenue in the Bronx or another Italian neighborhood. According to Mary Amabile Palmer, in her book La Cucina di Calabria, they are called friarelli in that Southern Italian region. The Spanish cubanelle that I often see in supermarkets are similar, and you can use them if you can’t find Italian frying peppers. Cubanelle are slightly stubbier in shape but have a similar flavor. I haven’t found a good way to make this dish without browning the sausages in a separate skillet and then combining them with the peppers. I like getting the sausages really brown on high heat and keeping the peppers and onions soft and light-colored, which is how my mother always made the dish, with textures that make sense to me. The sage and fennel seed are my additions to an otherwise fairly straightforward traditional Southern Italian dish. Choose a large casserole that will eventually hold all the ingredients without crowding. Add a few tablespoons of olive oil over medium heat. Add the onion, fennel, and peppers, and sauté a few minutes to start them softening. Add the garlic and fennel seeds, and season lightly with salt (some sausages are very salty, so you don’t want to add too much salt at the beginning). Add a little black pepper, and sauté until everything is soft and has not taken on much color (if the peppers start to brown too much, turn down the heat). While the peppers are cooking, set up a skillet over high heat. Add a tablespoon or so of olive oil. Prick the sausages in a few places (this will prevent their skins from bursting), and sauté them on all sides until they’re nice and brown, about 8 minutes or so. Add the white wine, and let it bubble for a few seconds, scraping up all the cooked-on skillet juices to incorporate them into the dish (this adds a lot of flavor). The sausages should be browned but still a little pink inside. Add the sausages with all the skillet juices, and the sage leaves, to the peppers, cover the casserole, and cook everything together just until the sausages are tender and all the flavors are nicely blended, about 5 minutes longer. You can serve this in shallow bowls with the bread on the side to soak up all the juices, or you can split the bread and fill big hero sandwiches. A while ago I invested in a chef’s knife set which included a fillet knife but often found it tricky to fillet a fish. I have a habit to take the superior quality fillet knife that my spouse uses on fishing trips and find it a lot faster dealing with fish.